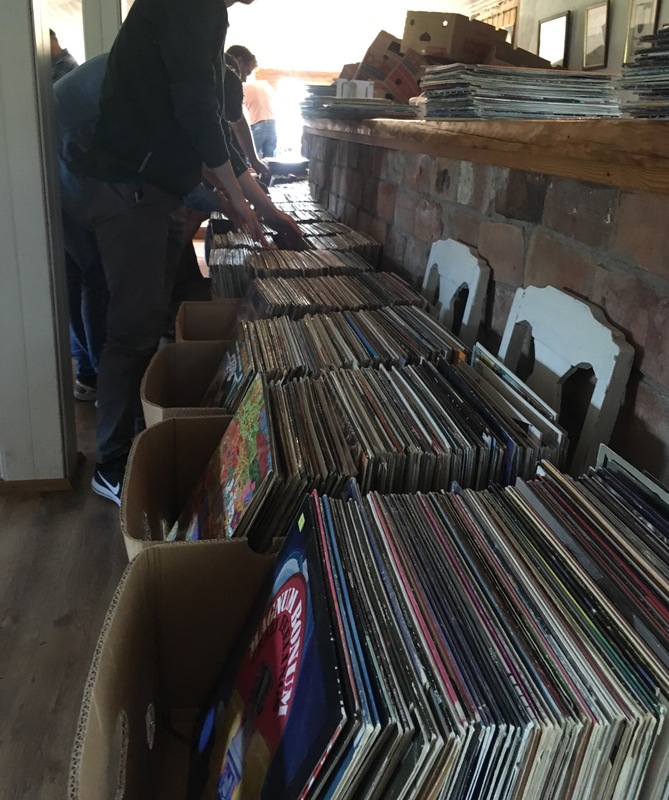 Skogens Datter - Vinyl heaven! 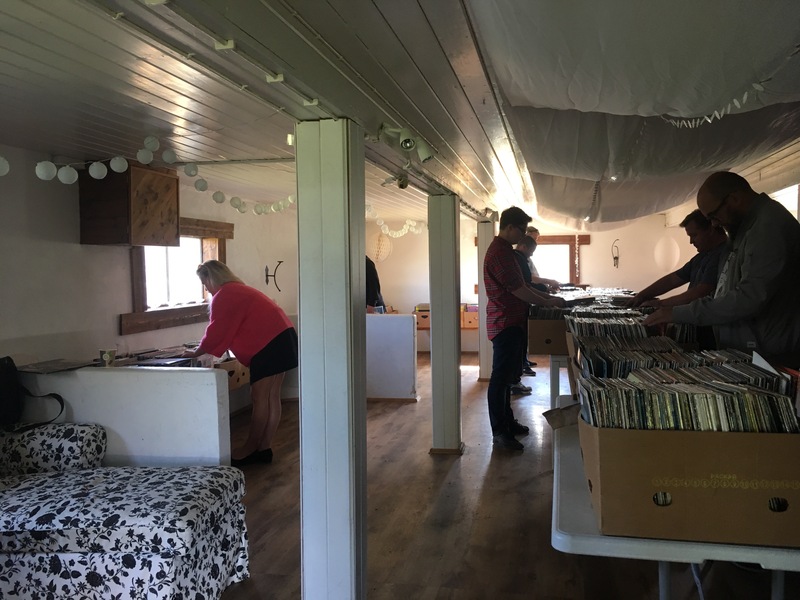 Earlier this summer, Hubby came across a Facebook event advertising: “Barn sale – Vinyls”. The post said that 15000 albums were to be sold at £1 each, plus 3000 albums individually priced. All kinds of genres, except classical music. This was something we couldn’t miss out on! 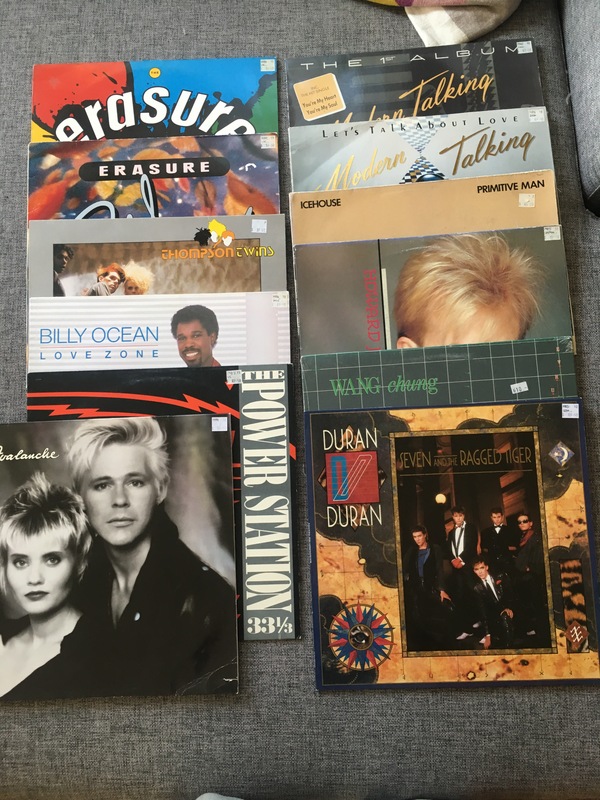 As a huge fan of the ’80s, I’m always on the hunt for great vinyl, and there are still artists I’ve yet to start collecting. Last Saturday was bright and sunny, with some delightful late summer warmth. The barn was a 45 minute drive further north from us, situated on an actual farm – very much in the countryside! In front of their garage, the family had placed a table on which they sold a very typical Norwegian treat: coffee and homemade waffles! Any kind of event, anywhere in Norway, sells coffee and waffles. Either raspberry or strawberry jam or brown goats cheese makes it perfect. And sour cream too! Yummy! In the garage, we found the individually priced albums and we decided to start there. The albums were sorted alphabetically, and there were also a couple boxes of Scandinavian music. I ended up with 10 albums from the garage, Hubby ended up with seven albums. As the property was no longer a working farm, the barn was not being used for its original purpose. The former stable had been turned into a “pub,” and the room was cold for such a warm Saturday afternoon. 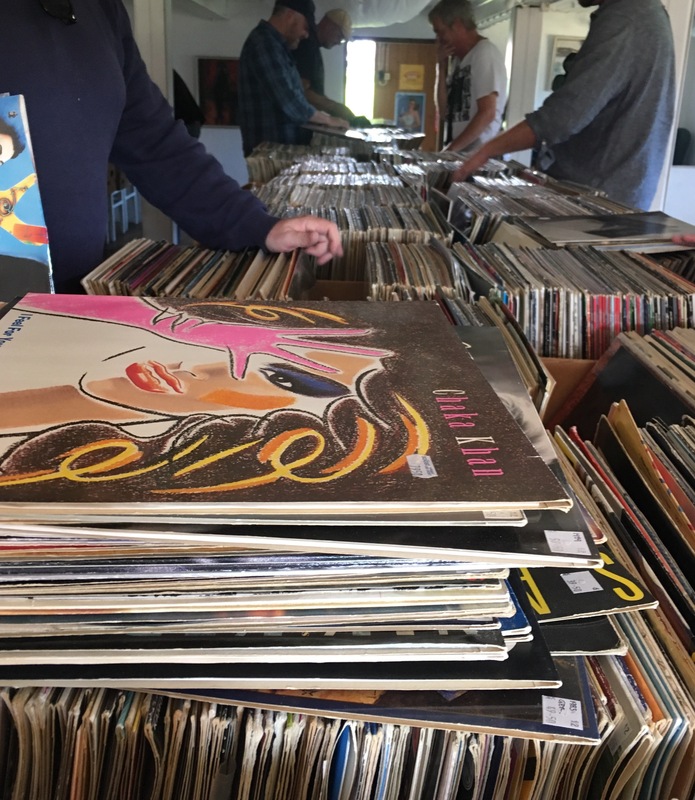 Not that the temperature mattered, because I was so excited by the sight in front of me: along every wall, boxes full of vinyl records were placed onto chair after chair, and on two long rows of tables in the middle of the room! I didn’t really know where to start, there were so many boxes! Anxious to find treasures before anyone else, I secured an open spot at the end of a table, and began my hunt. With nothing alphabetized, I knew I needed to go through every box carefully. Hubby seemed to be wandering the room, going through a box here and a box there, pressure off. Later, he told me he was paying just as close attention to his hunt as I was. As I came to the end of the first row of tables, I found myself watching the clock – I needed more time! 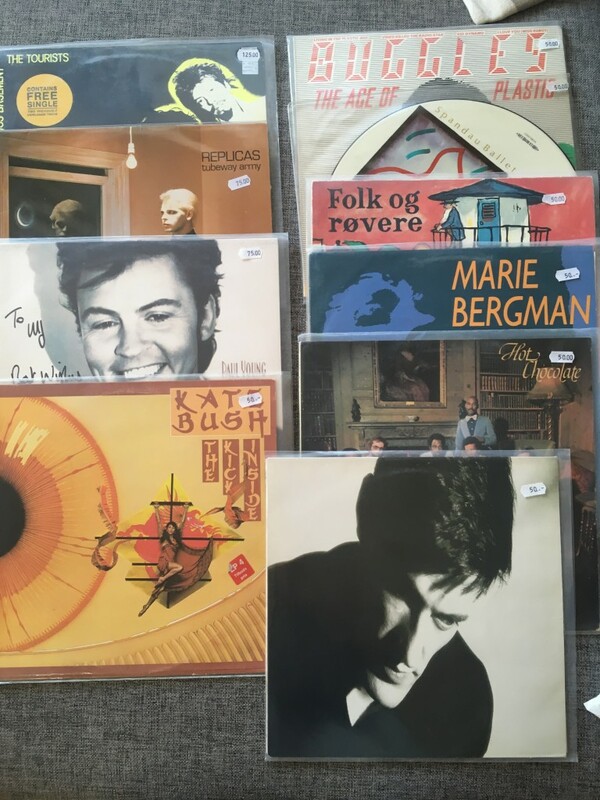 The result after Saturday’s hunt was pretty good: 10 records individually priced and 27 at £1 each! The weather was just as beautiful as the previous day, which was perfect for a long hike with Issi. But as I wanted to continue my hunt for vinyl, Hubby was kind enough to drive me back to the barn before he went off with Issi. That was around 12:30 pm. The “pub” room felt even colder than my first visit, but that was probably because I was hung over from the school reunion the evening before (the only reason that could make me leave a vinyl sale early!). There couldn’t have been more than four other people in the room when I entered, so this time it was easier to decide where to start the hunt. 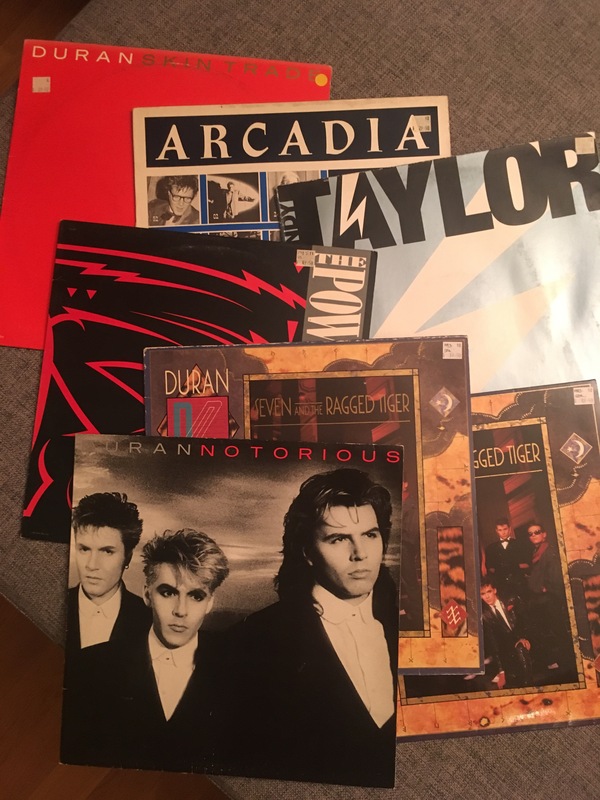 I started with the first box along the wall, and it didn’t take more than a few minutes to find An Alien Ate My Buick by Thomas Dolby – an unexpected pleasant surprise since I was really looking for The Golden Age Of Wireless! At only £1 each, I happily set aside more than I would otherwise. I kept finding interesting stuff and built up a pile on a sofa. After I moved over to the next wall, some guys showed up who all seemed to be friends. I had fun listening in on what they talked about over the boxes. 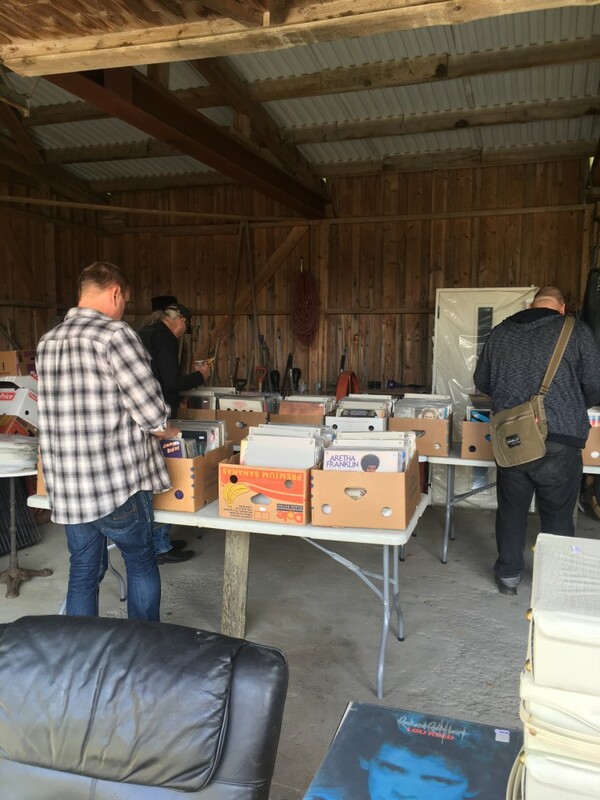 One of them told the others he’d been at a wedding the night before and this morning he drove for two hours to get to the vinyl sale, which he probably shouldn’t have – he clearly was in a worse condition than me! Hubby returned around 3:30 pm and I still wasn’t done. According to the event post on FB, I had a half hour left before the sale closed. To make things even worse, there was yet another room with records! So when the seller came to inform us all that he’d stick around for another couple hours, I breathed a sigh of relief. I did my best to step up the game, and the remaining boxes in the “pub” were easy to go through as most of them contained a lot of Scandinavian music, country, musicals and German oompa-music from the ’60s and ’70s. Not exactly my favourites. The last room was much, much smaller so there were fewer boxes and Hubby had already been through some of them. We both found interesting stuff, but I was getting so tired that I nearly missed Animotion by Animotion!! One of the albums I had on my wanted list! Hubby was feeling worn out too, especially since he’d been hiking for three hours previously, so we decided enough was enough. As a lot of the remaining boxes contained many of the same records, I figured the chances for finding something spectacular would be small. Of course I already got these! But these have different catalogue numbers. Finally it was time to pay up – I had to walk back and forth twice to carry all the records I’d put aside! Also, I wanted to look through them one last time to make sure I hadn’t picked any record more than once. 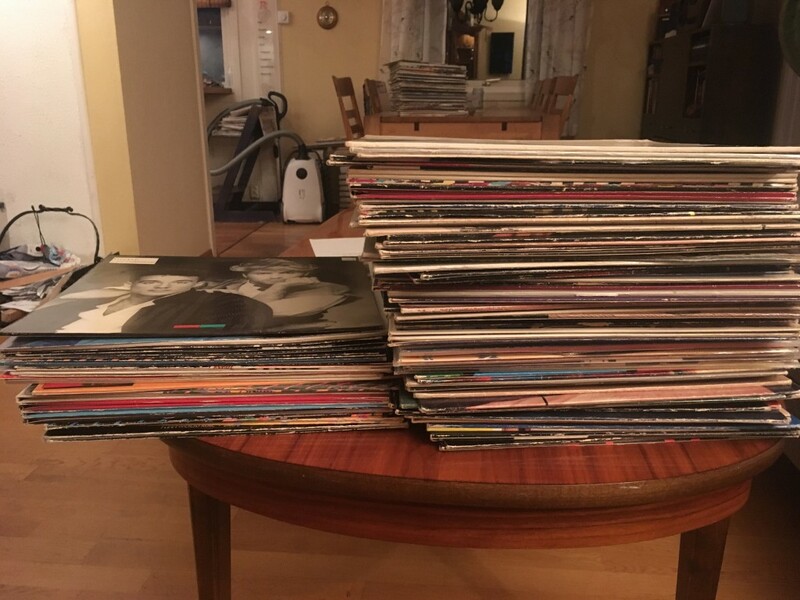 The ones that I chose to put back were either because the covers were poor, or because I already had the same records at home with the same catalogue number. Yes, catalogue numbers do matter, especially when it comes to Duran Duran! Sunday’s result: 74 records. 37 on Saturday. A total of 111 records!